The Great Sphinx at Giza was carved from inferior quality limestone bedrock and was probably originally coated with plaster and painted. Traces of the original paint can still be seen near one ear. 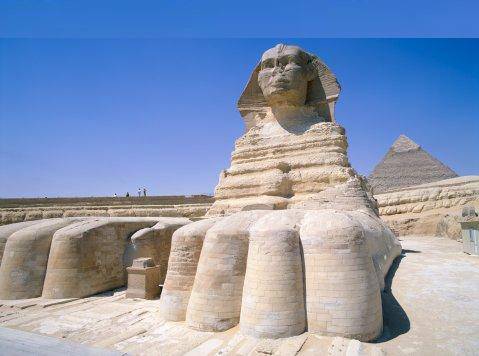 The Sphinx is about 73.5 meters or 241.1 feet long and 20 meters or 65.6 feet high. In later periods, because of sandstorms and other factors, various parts of the statue have eroded, especially at the neck and on the left side, on the paws and the hindquarters. 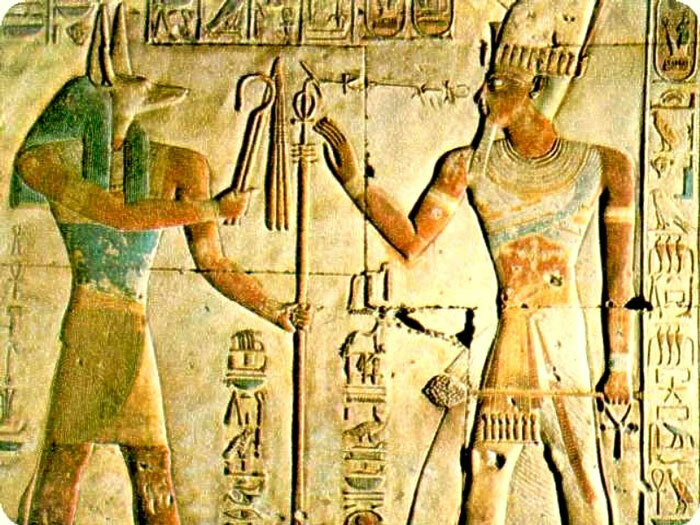 In between the paws of the Sphinx is a stela that is inscribed with a story. The head is covered with the Nemes headdress and once had a long false beard, which is now broken. The nose was broken, most probably during the time of the Mamluks, who used it for target practice.